Franco Bash is a retired Super Heavyweight kickboxing champion. He works as a mechanic in South Town Airport to support his wife Emilia and their son Junior. 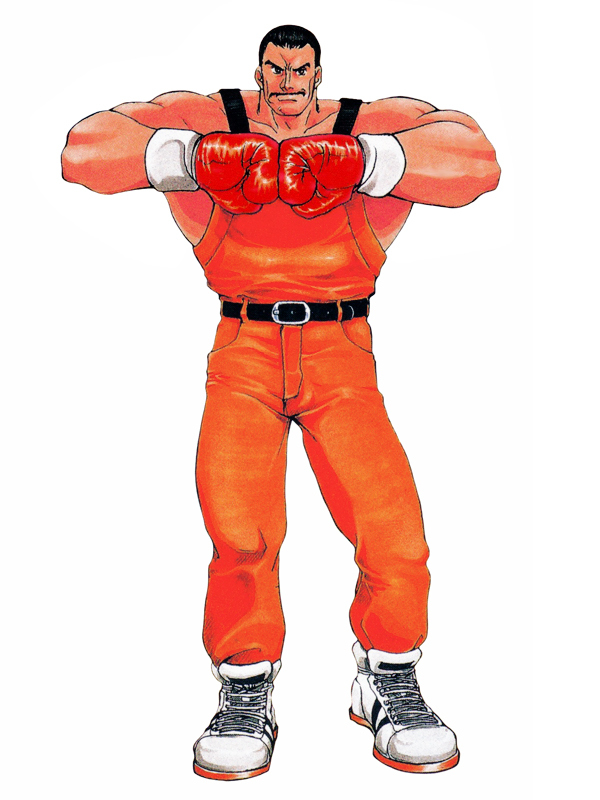 In Fatal Fury 3 his son is kidnapped by Yamazaki, who blackmails him into helping him obtain the Secret Scrolls of the Jin. 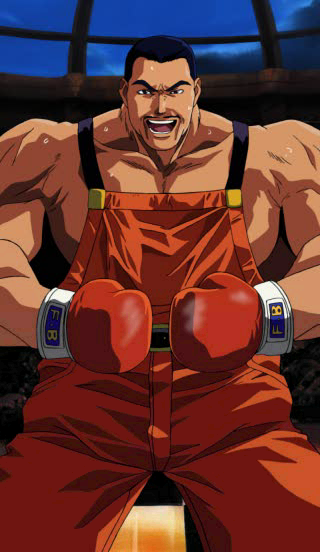 He rescues his son in his ending in Fatal Fury 3 and trains to make his comeback thorough the Real Bout series. His trademark moves includes the Double Kong, the Power Bicycle, and Webbing Blow, while his Super Special Move is the Armageddon Buster.. I always thought this guy looked like Super Mario on steroids... lol. 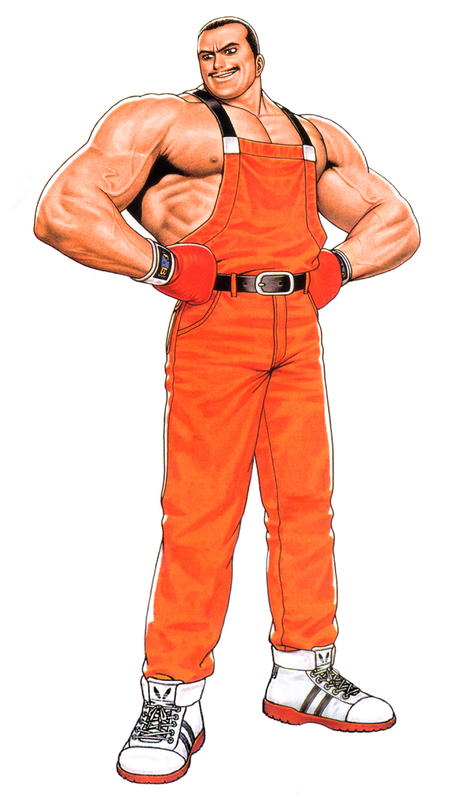 He's definitely a funny looking design, and at best he's semi-decent comic relief for the Fatal Fury series... but is he really trying to be funny? I think that's what's funny about him. lol. 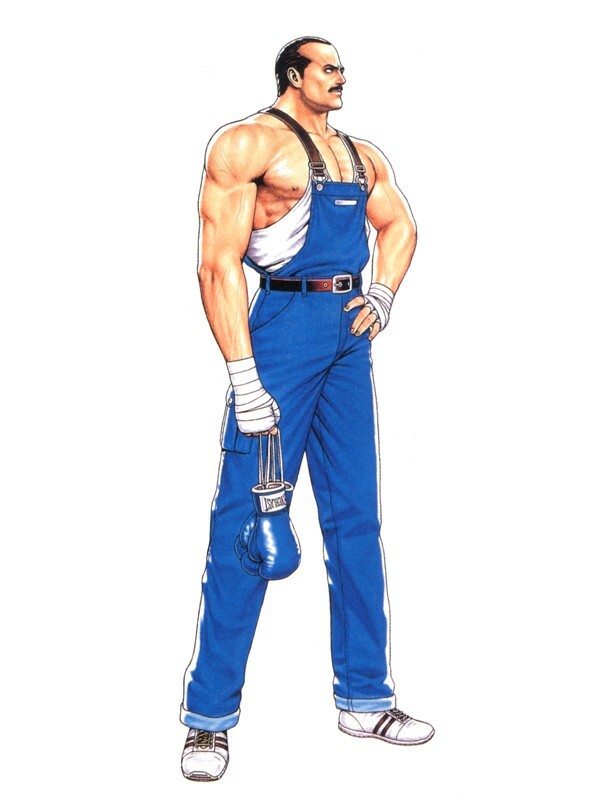 His outfit is awkward and as uncool as can be, and it's understandable why SNK pretty much dropped this design after a few games.